A number of tools and key references on restoration and botanic gardens are provided below. 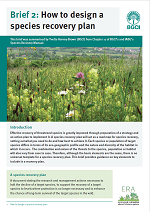 Further information on ecosystem restoration is also available from the toolkit for the Global Strategy for Plant Conservation. Relevant GSPC targets are Target 4 and Target 8. Heywood, V., Shaw, K., Harvey-Brown, Y. and Smith, P. (Eds.). (2018). Botanic Gardens Conservation International, Richmond, United Kingdom. 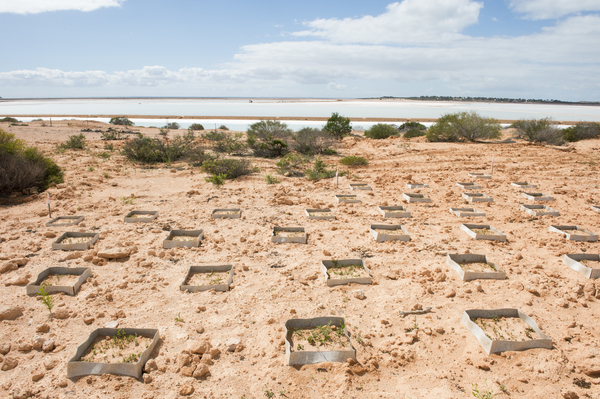 Species recovery involves many different disciplines and actors, and responsibility for it at a national level is often unclear, given that it cuts across different ministries and agencies. 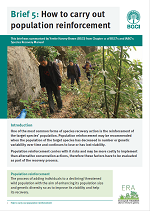 After various consultations, it was felt by BGCI and IABG that it would be valuable to produce a manual that would clarify the aims and purpose of species recovery, set out the various steps involved, and indicate good practice. 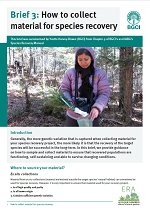 This manual is aimed specifically at conservation practitioners but also includes comprehensive bibliographic references, which enable more in depth reading on the topics covered in this publication. The manual includes chapters and case studies from members of the ERA. It can be downloaded here. 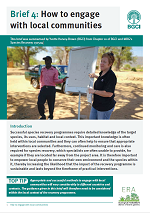 With support from the Rufford Foundation, BGCI has produced a series of six concise guidance briefs based on chapters of the Species Recovery Manual. The guidance briefs are designed to be easy to follow and downloadable so they can be taken into the field by restoration practitioners. 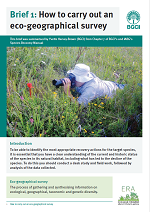 Brief six 'How to monitor a species recovery project' will be available soon. Elliot, S., Blakesley, D. and Hardwick, K. (2013). Royal Botanic Gardens Kew, Richmond, UK. Restoring Tropical Forests is a user-friendly and globally relevant practical guide to restoring forests throughout the tropics. Based on the concepts, knowledge and innovative techniques developed at Chiang Mai University’s Forest Restoration Research Unit, this book will enable substantial improvements in existing forest restoration projects and provide a key resource to enable new ones. The book covers the general concepts of tropical forest dynamics and regeneration that are relevant to the practice of effective tropical forest restoration. 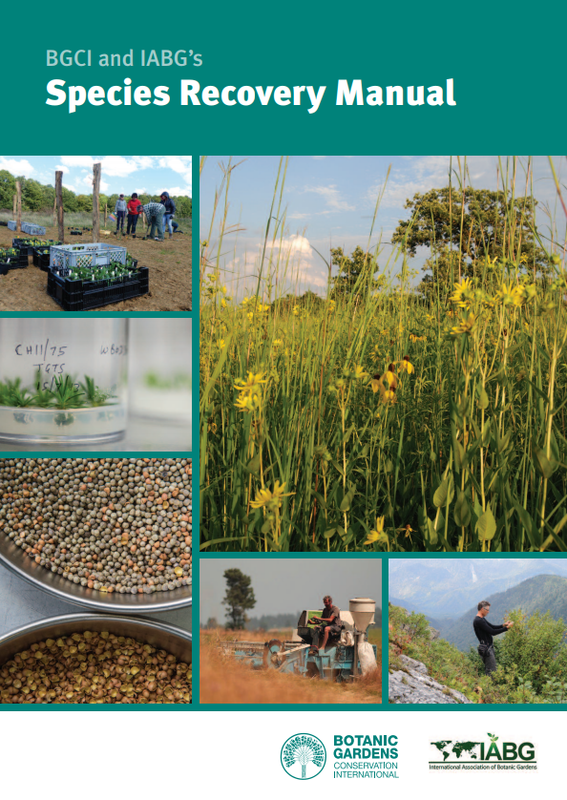 This is followed by proven restoration techniques and case studies of their successful application, and research methods to refine such techniques and adapt them to local ecological and socio-economic situations. 344 pages, 160 colour photos, 100 line drawings and 14 maps. Paperback. Or browse the full pdfs in English, French and Spanish here. A Spanish version can also be found here. In this multifaceted volume, Woodworth provides an introduction to the relatively new discipline of ecological restoration, which describes and puts into practice means of rejuvenating the natural, and in some cases human, environment of specific locales. Woodworth describes exciting projects from all over the globe, ranging from forest preserve restoration in the Chicago metropolitan area and biodiversity restoration efforts across Western Australia to two separate endeavors in his native Ireland to restore forests and bogs. It is clear that ecological renewal requires locally specific methodologies and that no project is rapidly accomplished or perhaps ever free from the need for continuing human intervention. Woodworth's discussions of the various projects illustrate that ecological restoration is as much sociology as hard science, involving deep questions about humanity's proper role in caring for and participating in local ecologies. Indeed, Woodworth's penultimate chapter addresses these questions by comparing and evaluating the thought of three leading figures in the movement: James Aronson, Richard Hobbs, and Bill Jordan. Woodworth provides delightful descriptive passages about his travels, which balance the theory-heavy sections. An important text for scientists and policy makers as well as laypersons with an interest in supporting biodiversity on our planet. This report details the work of BGCI and Department of Botany, Sustainable Development Study Centre and Botanic Garden of Government College University Lahore over the last five years to restore dry woodlands in Pakistan. Various pilot projects are discussed, including work with local communities as well as forestry department representatives to encourage wide participation in restoration. It has also been important to promote the use of indigenous species, exploring the potential for new products and markets. To find out more about the progress of this project, download the full report here. This is an online database developed by the Royal Botanic Gardens Kew. This toolbox provides successful seed germination conditions for UK native species, mostly from the Royal Botanic Gardens, Kew, Millennium Seed Bank's collections. 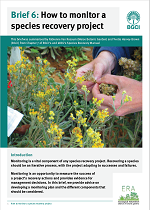 It is intended for all those who need to propagate UK native species from seed and is also useful for researchers seeking seed trait data. Find out more and search the database here. The ERA held its second public symposium in Amman, Jordan in Spring of 2015, in collaboration with the Royal Botanic Gardens Jordan. Click here to access recordings of the presentations from the symposium. Conservation photographer, Barney Wilczak, has been working with ERA to document the restoration work of member gardens. He has developed a portfolio of photographs which can be made available to BGCI members on request for use in fundraising and promotion of ecological restoration. 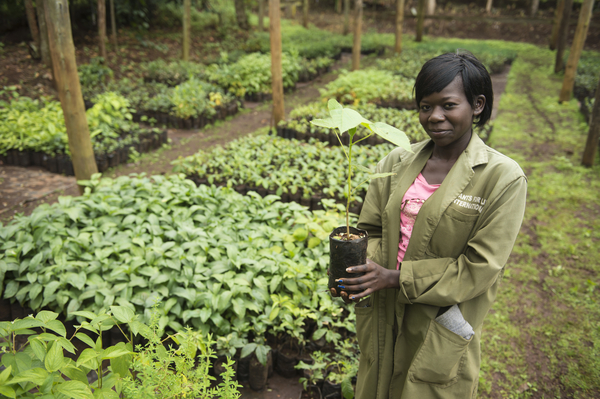 Online resources from ERA member, The Morton Arboretum Natural Areas Conservation Training Program, were trialled at an ERA forest restoration training course in Kenya. Find out more here.